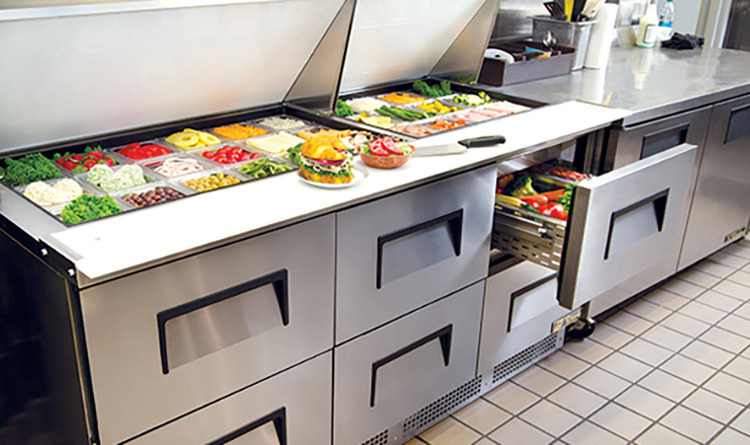 Lee’s Refrigeration service has the technical expertise and experience to service your Denver Commercial Refrigeration Repair needs. 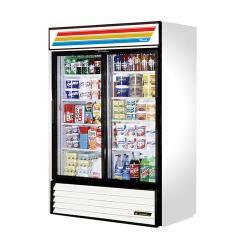 We specialize in freezers, refrigerators, prep tables, display refrigerators, coolers, ice machines. Whether the unit requires a simple repair such as replacement of a temperature control or more complex repair such as a refrigerant leak or compressor replacement, we have expert technicians with access to a full range of parts across a wide variety of manufacturers, to take care of any problem quickly and cost effectively. We repair most brands and commercial refrigeration calls for repair are always our highest priority. Our Techs carry many parts which allow for quick repair turnaround times. Where parts are not available locally, we are able to expedite directly from the manufacturer or our extensive network of parts suppliers around the country. Our work is fully guaranteed and our customers tell us constantly that costs very competitive and reasonable. Routine maintenance is an important aspect of ensuring your refrigeration appliances operates effectively. Many emergencies and repairs can be avoided through regular maintenance inspections. Call us today to arrange for a routine maintenance which includes cleaning and inspection of condenser coils, check and cleaning of seals and gaskets. Check of refrigerant levels. Correct operation of thermostat, and cool control. Efficient operation of evaporator system and that all fans are in good order and that airflow throughout unit is optimal. Our customers report that our prices are very competitive and reasonable. We do not hide our charges. We openly disclose our service call which covers our expenses incurred to call on you, and time to confirm or diagnose the problem. Labor and any parts which may be used are itemized separately so that you can see the exact costs associated with the repair. We often can conduct a simple repair for just the service call fee. Others will claim a free service call or trip and diagnosis fee, only to build these charges into their labor or parts mark up to cover their costs. Evaporator fan coils and blades need to be cleaned regularly and inspected for damage on at least a quarterly basis. Consult with your servicer or manufacturer for correct procedures. Any damaged components should be replaced to prevent further problems. Door hinges and seals take a beating in a commercial environment. Inspect door seals and hinges quarterly. Make sure hinges are lubricated quarterly and they are closing properly. Clean door seals and gaskets regularly with soap and water. Remove any build up debris or sticky liquids. Avoid harsh chemical cleaners which may affect the integrity of the seals. If a seal is damaged, replace it. A refrigerator or freezer that does not seal well will be exposed to a myriad of problems which over time will lead to costly repairs. Keep the condensing unit working at optimum levels by ensuring condensing coils are clean and that the areas around your evaporators and condensing units are clear to ensure proper airflow. For walk in coolers, do not allow trash or other debris to accumulate around the walk-in. Keep track of temperature daily. Large changes can be an an indicator of a problem. For larger units and walk in’s, a cooler control system that logs and alerts on temperature fluctuations can be a good investment. Regular maintenance is your best defense against unexpected failures and managing your costs.